Capitalism is an economic system in which wealth, and the means of producing wealth, are privately owned and controlled rather than state-owned and controlled. Through capitalism, the land, labor, and capital are owned, operated, and traded by private individuals or corporations and investments, distribution, income, production, pricing and supply of goods, commodities and services are determined by voluntary private decision in a market economy. A division of labor has always existed in human society. As a population grows, demand for goods and services forces the development of new skills. Capitalists show up in societies as salesmen or entrepreneurs who are clever at buying and selling, so they take opportunities for profit when they present themselves. To hear modern historians tell it, capitalism began with the Enlightenment in the late 16th century. The break from the Catholic Church and authoritarian monarchs allowed people to exert their individual rights and take control of their lives. This new freedom, allowed citizens to form their own businesses, go to market, and make a profit. The focus for today’s scholars may be on this new-found freedom of the Enlightenment, but that was not the origin of capitalism. When Rome began it was strictly an agrarian society. The only asset considered valuable was land. In Roman society, wealthy patricians controlled the land and those without wealth or land were the Plebeians. Patricians considered mercantilism beneath their dignity and refused to engage in such low enterprise. Cicero once referred to all salesmen as liars. As Roman trade evolved, laws were passed that prohibited senators from investing in shipping. That left the Plebeians to control that market. The same story happened with the Roman civil service. As it grew, the new positions were given to the lower class, and the resulting economic environment fostered the growth of a new middle class (the Knights). The first “businessmen” were called Publicans. They were employed by the state to manage public contracts: to collect taxes, manage mining companies, and oversee road construction. Contracts were awarded to bidders at auction and their duration was five years. During the Punic Wars Publicans built ships for the Roman Navy and equipped the Roman Army. In 215 BC, three Publican contractors were censured because they provided financing to Spanish tribes, who were Rome’s enemy at the time. They scuttled their ships and sued the Republic for reimbursement. The Senate chose to utilize the Knights commercially, instead of creating a civil service, but the power of the Knights grew, and they were able to exert great influence as a class. In 169 BC, the censor Tiberius Gracchus cancelled all Publican contracts because of corruption, but the Knights rebelled and accused him of treason against the state. Tiberius was acquitted, but all Rome now understood the power of the middle class. By the fall of the Republic there were hundreds of corporations selling shares to investors. Manufacturing and trades flourished: including furniture making, leatherwork, weaving, metalworking, stone working, and food processing. Many of the business terms we are familiar with today were in use in Roman times, including insurance, banks making loans, individuals owning shares in companies, competition, hoarding commodities to influence prices, investments, lawsuits, and monetary speculation. There is one major difference, worth noting, between capitalism in the time of Rome and the Enlightenment Period. There was no industrial revolution in Roman times because there were no machines available for mass production. Those machines gave the Enlightenment a black eye because they led to worker exploitation and harsh working conditions. As a direct result, socialism was developed as an alternative to the evil capitalistic model. This story suggests that capitalism is the default behavior in human society. The combination of a large and diverse population and the need for skill differentiation to efficiently supply goods and services to people, generates a market model. My usual reference for Hannibal’s campaign against the Romans (218-202) is The Punic Wars by Brian Caven, published in 1992. Of course, we also have Polybius and Livy who were closer to the action, but not contemporary to it. Polybius was born in 200 BC and was brought the Rome in 167 BC as a hostage. He lived there 17 years and was an eyewitness to the Third Punic War (149-146 BC). Polybius eventually published a history of all three Punic Wars, but most of his work is lost. Livy, starting in 30 BC, used Polybius and others in his own his own account of the time of Hannibal, looking backward 200 years. Now we have a new biography of Hannibal by Patrick Hunt, archaeologist and historian from Stanford University. Dr. Hunt’s book equals and exceeds previous work on the subject. His scholarship is meticulous and thorough, and the story of Hannibal’s life is told as a straightforward narrative without unnecessary decoration. Hannibal Barca was one of the greatest military commanders of all time, so his story is essential reading for anyone interested in military history. Son of one of the leaders of Carthage, and born after the Carthaginian defeat in the First Punic War, Hannibal came to power quickly. Accompanying his father Hamilcar and brother-in-law Hasdrubal on an expedition to Spain, he had to tolerate the drowning of his father and the assassination of Hasdrubal. Now commander and chief of the Punic Army at 26, Hannibal took control his own destiny and became the central player in the Second Punic War. Most of us have heard the story of Hannibal’s crossing of the Alps in the fall of 218 BC which was a prelude to his attack on the Italian Peninsula. He defeated the Roman Army so soundly, in a series of battles, that the Romans were forced to fight a war of attrition instead of trying to defeat him head on head. Hannibal was loose in the Italian Peninsula for 15 years until he was recalled to Carthage in 203. He lost the Battle of Zama to a Roman army under the command of Scipio Africanus in 202 BC, and this defeat ended the second Punic War. Professor Hunt documents Hannibal’s later years after he was exiled from Carthage in 195 BC. 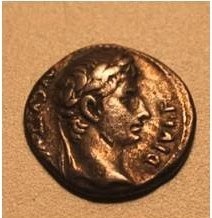 Hannibal acted as a military adviser to some heads of state in Asia Minor, but when betrayed to the Romans in 183 BC, he took poison to avoid captivity. The author goes to some length to lay our Hannibal’s legacy and influence, showing us why the general is one of the most significant figures during the age of the Roman Republic. I enthusiastically recommend this book to anyone who wants to examine Hannibal’s life and his battles with the Romans. You will come away with a thorough perspective on the man and the general. I have my first book coming out next week. Three years in the making, it’s different from the typical focus of this blog. 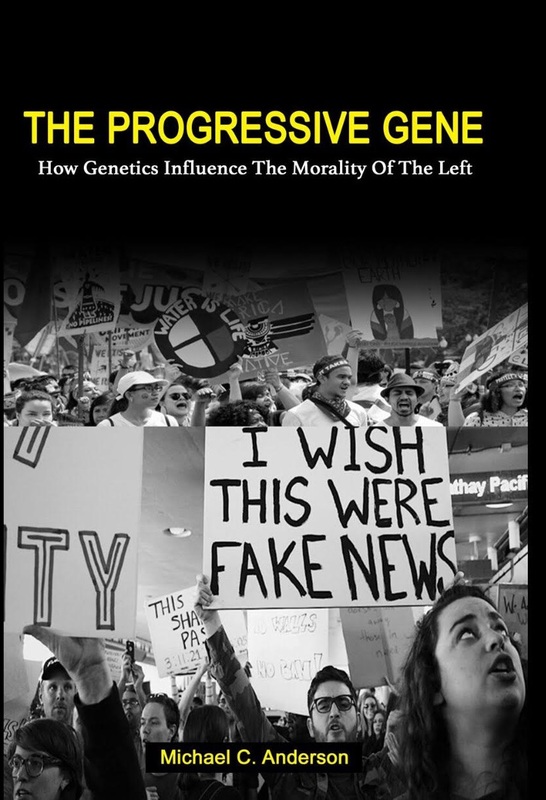 The title of the book is, The Progressive Gene: How Genetics Influence the Morality of the Left. As you know, I’ve been talking about antiquarian political systems for ten years: Mostly Roman and Greek with a few others thrown in (e.g. Mesopotamia, Etruria). We all understand that the Roman and Greek governments were revolutionary, fundamental to the development of Western Civilization, and they influenced all political systems that followed. The American political system was originally a copy of the Roman Republic, with the additional feature of states included in the federation. There has been significant research done in the past decade around political morality (party preference) and the factors that influence our choice. For example, research has shown that there are physical differences in the brains of Liberals and Conservatives. Liberals have a more developed area of the brain that handles decision making and choices. Conservatives have a more developed area of the brain that processes threats (fight or flight). The conclusions drawn from this are that Liberals desire change partly because they are comfortable with it. Change does not bother them. Conservatives are more cautious because risk is always on their mind, so they tend to opt for the status quo. These characteristics are genetically determined, like height and weight, and they exhibit a range of values matching the distribution of political points of view. Progressives on the left, independents in the middle, and Conservatives on the right. As a social animal, man had to learn how to get along in a group by developing an external morality. He did that to take advantage of what the group had to offer (safety, shared resources, etc. ), so his external morality had to be tuned to the morality of the group. In the egalitarian bands of humans in a primitive state, that worked well for a group size of 50-100. But the advent of agriculture changed everything. With a guaranteed food supply, man could now live together in densely populated groups. That structure demanded a new social model to maintain order, so, governments developed to help manage the social and economic stratification that came with it. Complex society has its own morality consisting of laws and social mores, which exists apart from the personal morality of individuals. It’s dynamic and adapts over time (e.g. changing views of Homosexuality). The political systems of antiquity represent man’s initial efforts to deal with a new social dynamic. Mesopotamia, one if the pioneering cultures, started out as a theocracy but eventually became a monarchy. Rome and Greece were also profoundly influential models: Rome with its Republic creating a balance between social and economic classes and the Greeks with their Democracy. 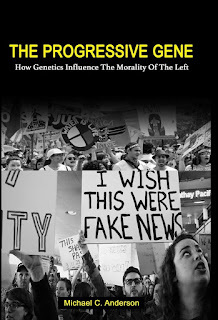 My book is focused on Progressives and their unique political morality (a book on Conservatives comes later) and there is plenty of history to discuss. I have chapters on Mesopotamia and Greece and Rome. There are also chapters on the creation of the American political system and the history of the Progressive Movement. 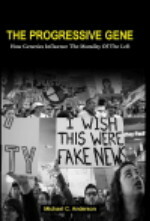 All that history forms the basis of a discussion about the Progressives, their view of government, and they influence they exert over American politics today. I will provide a link for viewing and purchasing the book once it becomes available next week. I have just completed an Audio Tour of the Roman Forum in conjunction with Voicemap, a company that offers audio tours of cities and famous places. The concept is interesting. You play the tour on your phone and the app uses GPS to know when to start and stop the narrative based on your location. Each stop has a story to tell and you start to hear that story as you approach. You can have the phone in your pocket and listen to the tour with earbuds. As you move about, there is a map on your phone screen which can serve as an aid in case you lose your way. This tour includes 32 different locations and you learn the history of the structures you see at each stop. We've made sure to cover all the most interesting structures: the Senate House, Temple of Castor and Pollux, House of the Vestal Virgins, and the Arch of Septimius Severus, to name a few. The Forum was originally laid out in 625 BC, when the swamp that occupied the space between the Capitoline and Palatine Hills, was drained. The sewer built to drain it, called the Cochlea Maxima is still in operation today. Later, the Capitoline Hill became the site of Rome's sacred temples and the Palatine became the home of the Caesars. The Forum most likely reached its Zenith during the second century AD, sometimes called the Golden Age. There were four emperors during this period; Trajan, Hadrian, Antoninus Pius, and Marcus Aurelius. Although the personalities of these men were very different, together they succeeded in keeping the Empire stable. The Sacra Via (central roadway in the Forum) would have seen the triumphs of these men and the speeches they gave at the rostra. By that time, the Senate House had lost its standing because political power had been removed from the Senate. Still, it remained standing (as it does today), symbolizing the accomplishments of the Republic. The Forum met an inglorious end when the Western Empire fell. Its monuments were neglected and the marble and bronze hauled off to be used in the construction of Christian monuments. The church retained no respect for structures erected by a pagan empire, so fourteen centuries saw the Forum waste away as a Campo Vaccino (cow pasture). It wasn’t until 1898 that excavations of the Forum began in earnest. By then, a united Italy was an independent nation looking to its own history and accomplishments with pride and wanted to share them with the world. I’ve been to the Forum twice (twenty-five years apart) and the excavations that took place between those trips brought to light many new structures. Here are the instructions for downloading the app. 5) Buy the tour (The Forum tour is free right now). The download will start immediately.